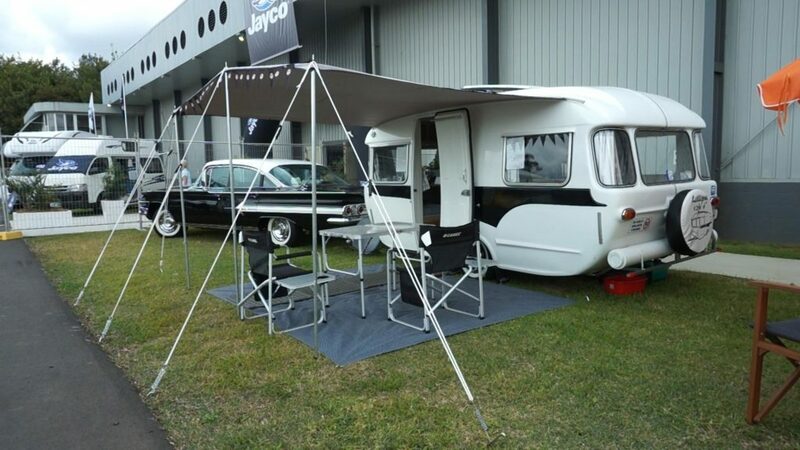 There are only two caravan and motorhome shows in New Zealand and the Covi Supershow is the only one in Auckland. I flew up for the weekend to have an explore and am glad I made the effort. 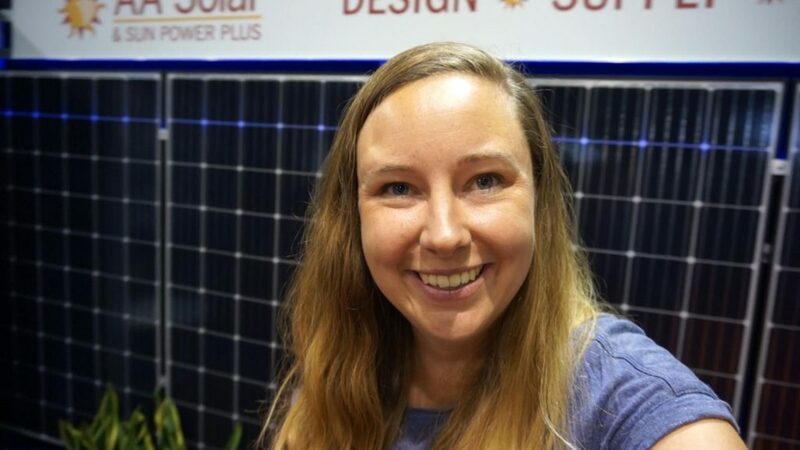 As well as flash caravans and motorhomes, there were RV accessories, travel destination information and companies who specialise in solar power, toilets, insurance, fuel discounts, generators, fridges and more. I needed two days just to see everything! I wandered around the show and stopped at anything that particularly grabbed my attention. There was so much to see and the below is really only a fraction of the show. 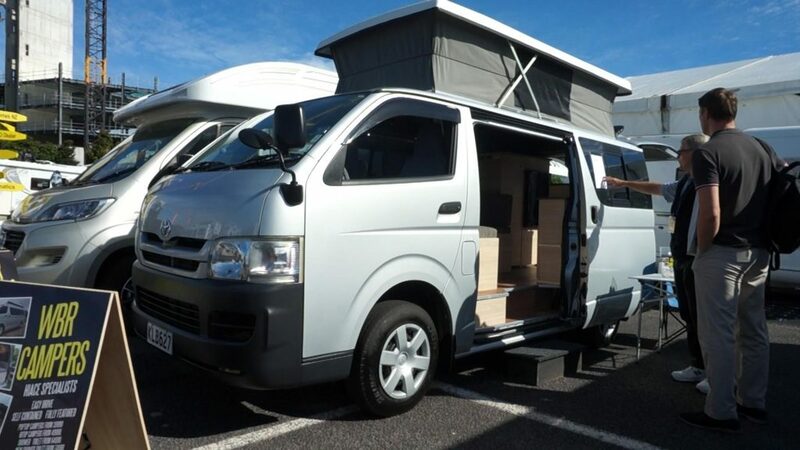 They convert vans into campervans and can use either your own van, or they buy new-ish Japanese imports and modify them. You have complete control of how much you want done – whether you just want the pop-top added or the whole interior fitted. They are self contained so you can freedom camp in New Zealand. I filmed the basic starter campervan, but around the corner were other more expensive options. They have just branched into renting out the campervans too. For the toys obviously. There was a ramp that opened up the whole back area and lead to space for your bikes with a couple of bunk beds. At the other end was a bed in a pop-out tent area. 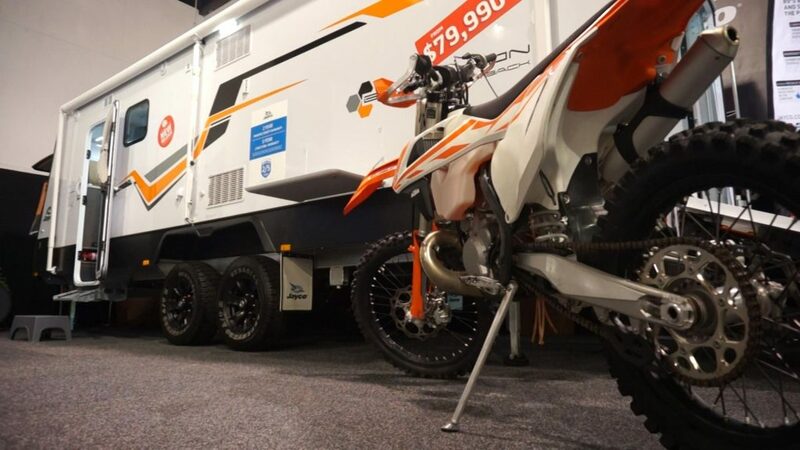 This trailer has Jayco’s massive wheels and looked like it could go anywhere. One of their cheaper caravans, it was also one of my favourites at the show. I think because it wasn’t overly fussy looking inside. It had the island bed for easy access, a nice seating area and a seperate shower. Just ticked all my boxes. 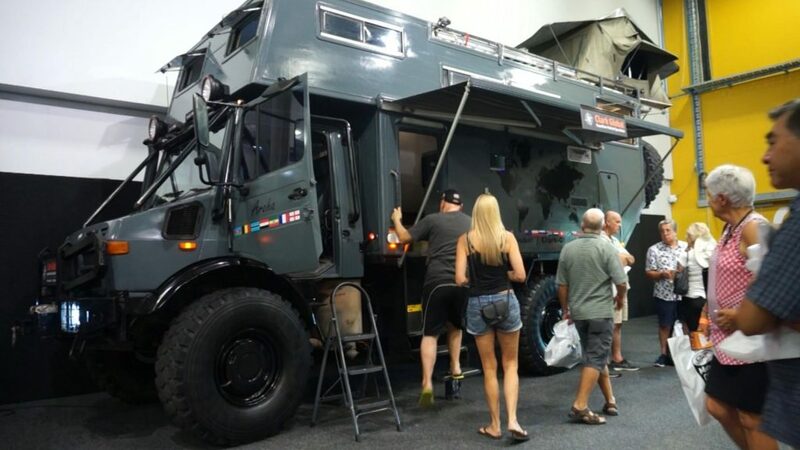 The most photographed vehicle at the show, this beast of a machine towed over everything. The owner constructed it in London before travelling around Russia and the Stans – there was a map inside with the impressive routes. He has now set up a business making expedition vehicles. This caravan had amazing windows at the front. They went all the way up and you would feel like you’re sitting outside. Everything was of the best quality and I was jealous of the separate shower and large fridge/freezer. 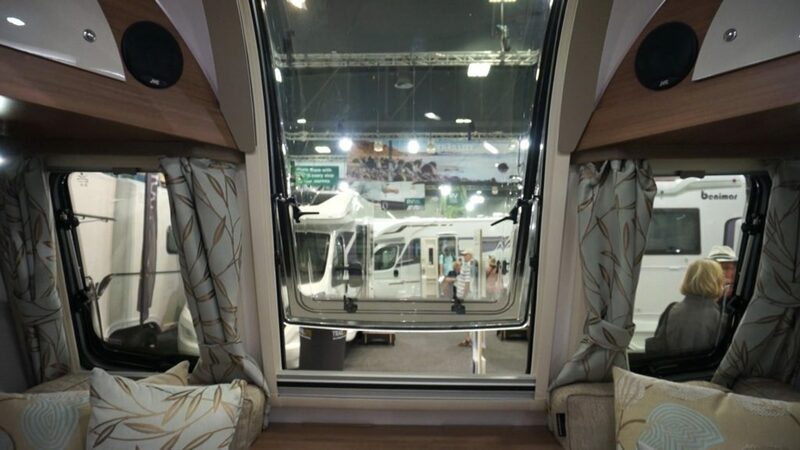 I did see that there were many caravans at the show with the bed sitting sideways which could be shortened for easy daytime movement. Funnily enough I had just seen this brand on YouTube and thought it looked lovely. I think modern caravans are generally not the best looking on the outside but the Eriba is very slick and attractive. It’s a small caravan with a pop-top and would really be for the shorter holidays. 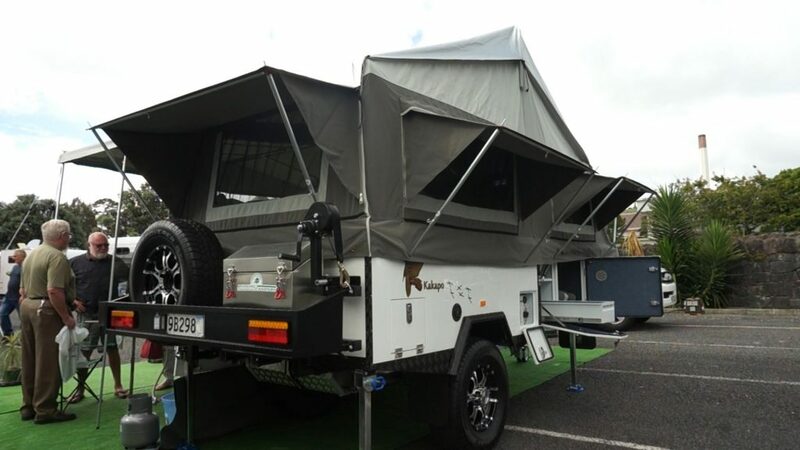 Described as a 4WD Motorhome, it’s the type where the living area sits on top of a ute. Climbing up the ladder, it felt surprisingly large inside and really has everything you need. Kitchen, seating area, permanently made bed, toilet – it even has a shower! If I was moving around every day or two and wanting to get to out of the way places, I would consider a set-up like this. This is the second time I’ve filmed this caravan. It feels different to other caravans with the door at the end. It’s only a 2-berth caravan when driving, but has a pop-out bed in a tent area to maximise the space and makes it a 4-berth. 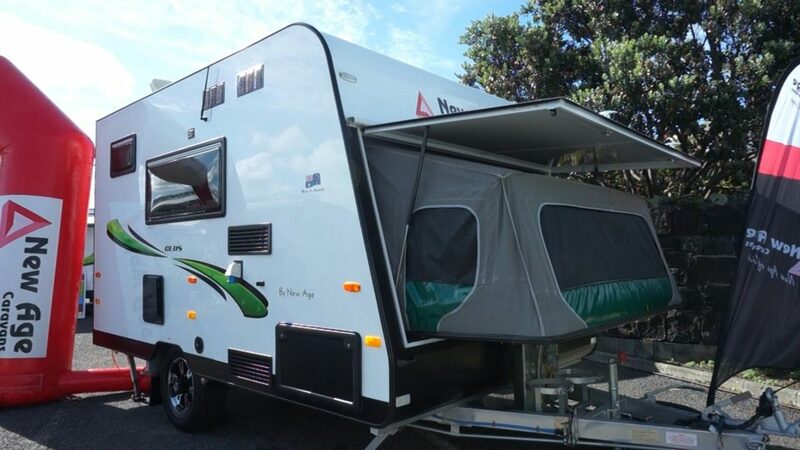 Camper trailers fold up small for driving but open up into a living area on top of the trailer. I think of anything with a tent as Australian style. It has chunky off road tyres and really is designed for warm weather. It would be fun and definitely a more affordable option than other brands at the show. I was excited to see this here. 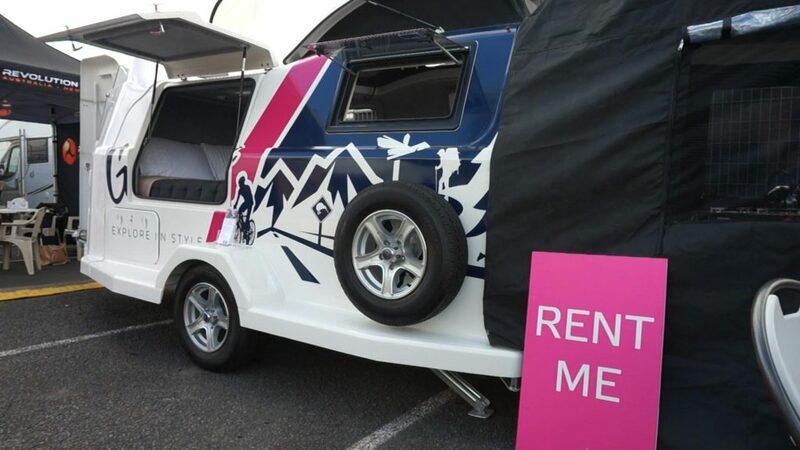 GO Rentals is a car rental company I’ve used in New Zealand for previous South Island exploration. I saw online that they now rent out caravans and I’ve been curious to see inside. 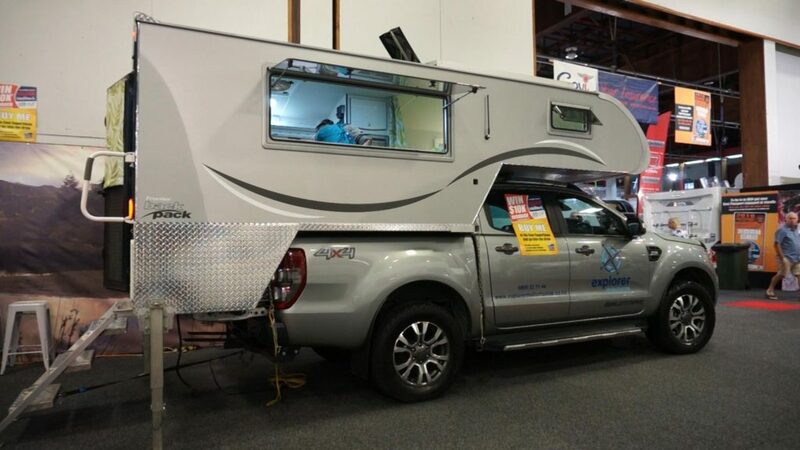 This would be the PERFECT way for someone considering buying a caravan to have a taste of the lifestyle before purchasing. This is what I wanted access to before buying mine. A way to calm some of my concerns like towing a caravan and handling a toilet cassette. At the time I could only find expensive motorhomes to rent (although I’ve since learnt that the odd dealer sometimes rents caravans too). It’s an unusual looking vehicle and quite slim, with a pop-top roof and toilet accessed from outside. All you need to comfortably explore New Zealand. The Lilliput caravan club was also at the show. 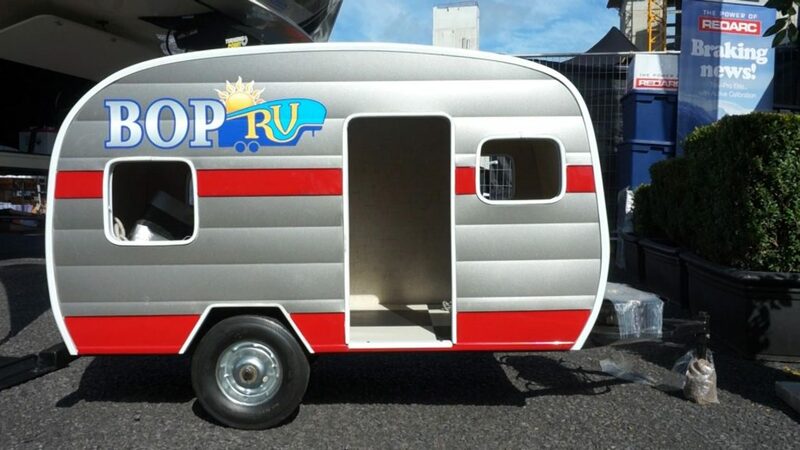 Lilliput caravans are very cute vintage caravans that the members restore and personalise. I met a friendly couple in their caravan who follow TravellingK and I absolutely loved getting their feedback and thoughts. They are so upbeat and fun, I hope to meet them again in the future. The club recently published a book about the history and stories of the caravans and owners. I had recently seen a motorhome towing a small car and though it was a good idea. 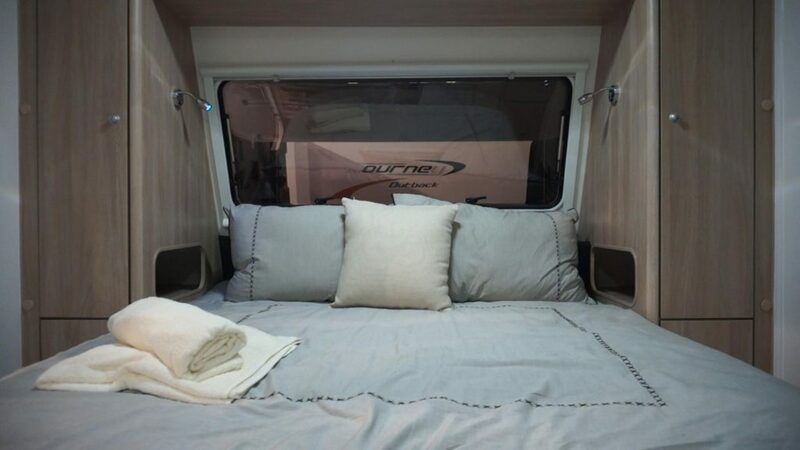 The main problem with motorhomes is the inconvenience of packing up every time you want to go out and the hassle of finding a large enough parking spot every time you need something from town. Towing a small car could be an easy solution. 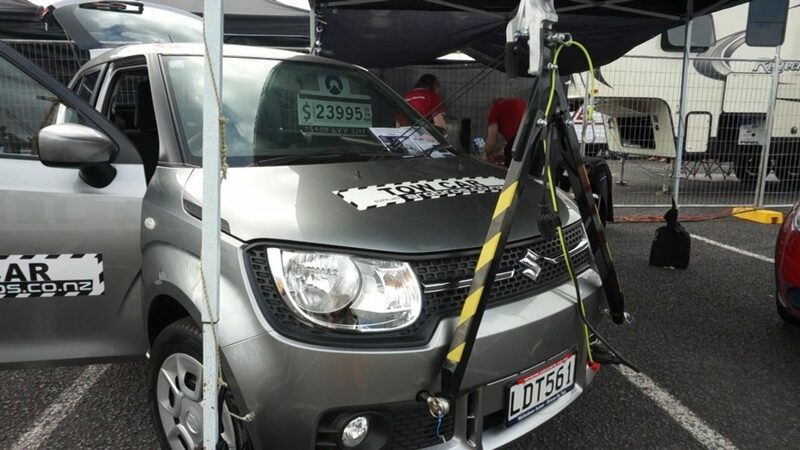 This UK company has modified their set-up to comply with New Zealand road-rules and might be the only legal option in New Zealand. The towing part can be disconnected and stalled in the car when driving around. They are the company who set-up my solar power and I recently bought my caravan batteries through them. Glad I got the chance to talk to them in person and meet the new owners. Great attitude and I suspect there will be some positive changes with the company and am keen to see how they progress. Ever since I had my own fridge problems and heard about compressor fridges I have been curious to learn more. 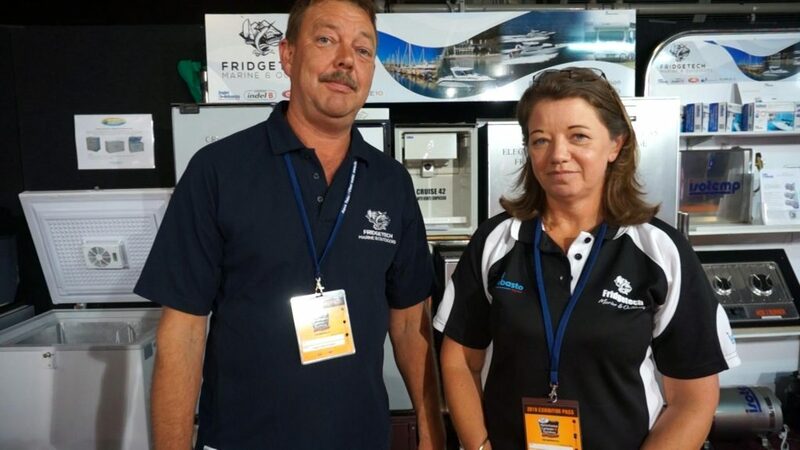 Fridge Tech were displaying all compressor fridges and I asked why they are becoming more popular than 3-way fridges. Apparently it’s a combination of solar power improving and the new fridges ability to run on less power. They are also cheaper and more reliable than 3-way fridges. The only concern is to check your power set up can handle it! Apparently the new caravan brands are starting to install compressor fridges instead of 3-way fridges and I’m wondering if they will be the norm soon. Is it normal to get excited when you see your toilet brand is at an expo? My toilet cassette has slowly been disintegrating. It has been leaking from a small part (not the main seal) and I could no longer carry it sideways – only horizontal. I’ll admit it has meant emptying the cassette at dump stations has been messy. Talking to the staff, I learnt I could buy the parts separately and fix the toilet cassette myself. The newer model has wheels to roll the cassette along… I was sold. 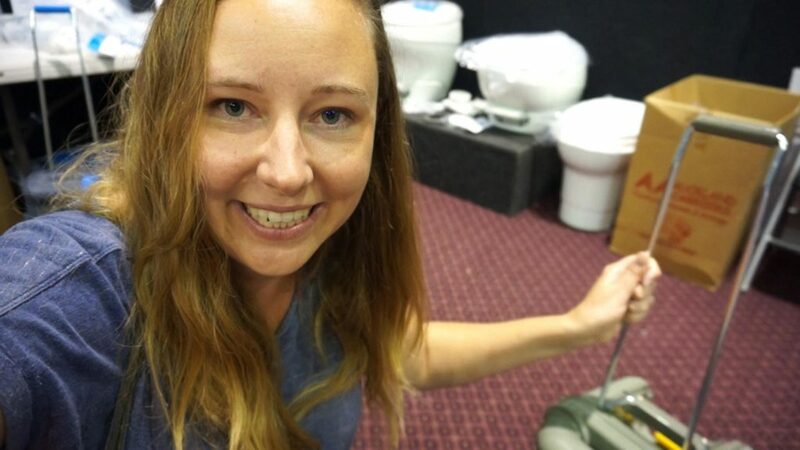 Easier to just buy a new cassette at the discounted expo prices… although trying to fix my toilet could have been an entertaining video. This company gives you discounts on fuel through their cards and you pay them monthly. Plenty of caravanners and motorhomers have raved about this company and I’ve been meaning to join. I even had the forms in the caravan. But as the form is 5 pages long, I kept procrastinating. Luckily the friendly staff filled the form in for me at the show and sped the process up. My internet provider was there too and I was able to talk to the founder of the company. I am regularly asked how I find Wireless Nation and what the connection is like. It was good to check with the company that I’ve been correctly describing how it all works. I am able to stream YouTube and Netflix with no problems and haven’t run out of gigabytes yet. Sometimes I’ll be in an isolated area with no cell phone reception, yet I’ll still get internet through the modem. I think of it as having extra strength to reach the towers compared to a cell phone. So many companies I use were at the show! Covi Insurance is my new insurance company for my caravan and contents. I changed over in November and so far so good. Great talking face to face with the staff and get a better feel for a company – a friendly bunch. Too cute – you can buy these dog kennels in the shape of a caravan and they have a surprising amount of detail. 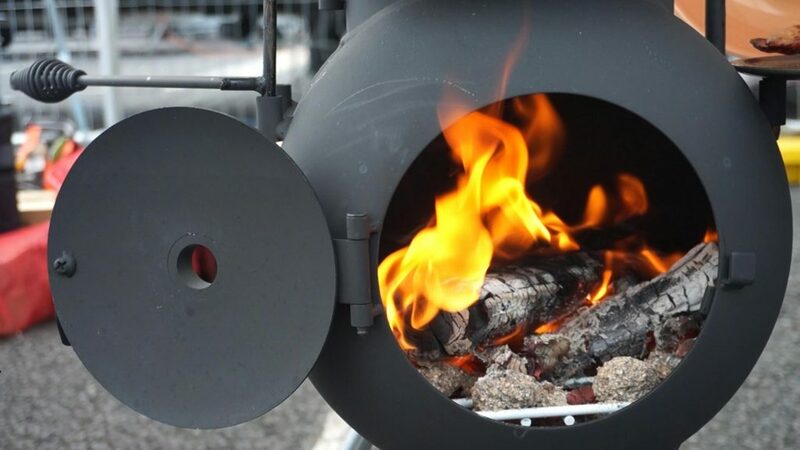 An attractive little outdoor cooking stove. It can be dismantled and fits into a small bag. Looked very versatile for cooking different ways and heating water. I think it would be a fun addition if you liked spending time outside your RV. 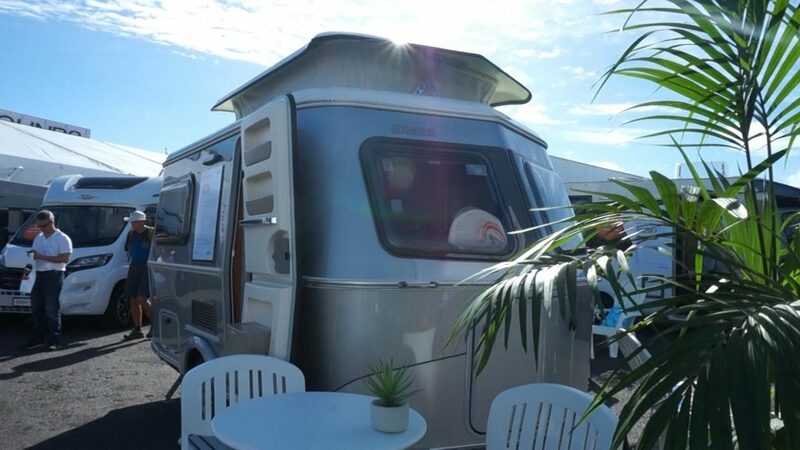 Overall plenty to see at the Covi Caravan, Motorhome & Outdoor Supershow. Did you make it to the show? What was your favourite stall? Let me know in the comments below.